Let’s play a game. 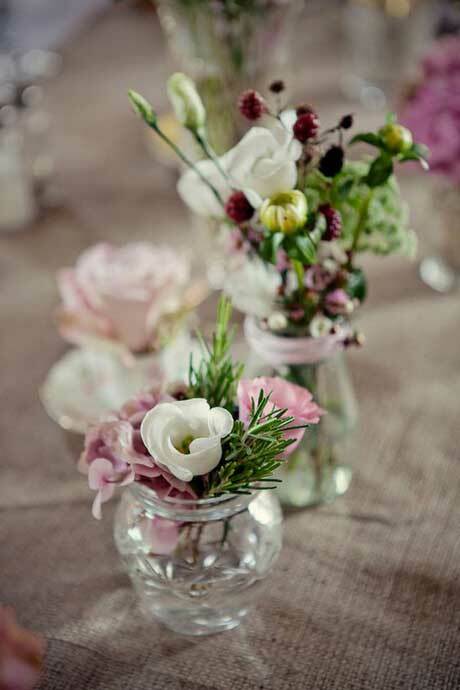 Can you guess the name of the pink, bell-shaped, pendent flowers? Post a comment below if you can. 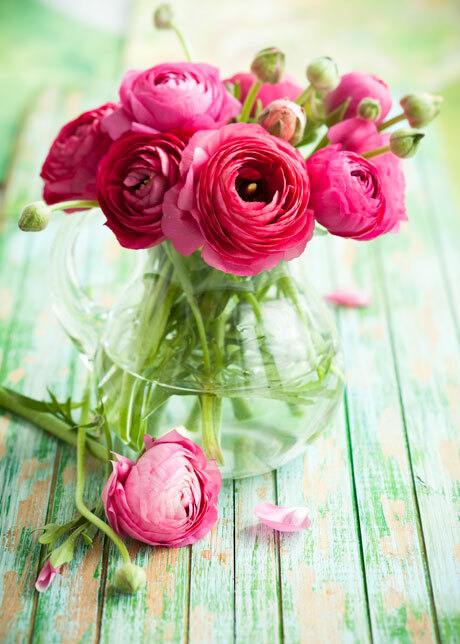 Did you plant ranunculus this year? 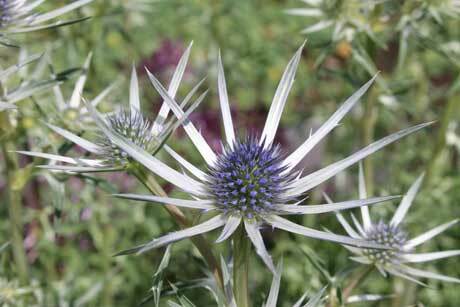 They may well be flowering now, depending on when you planted them; if not, they will be soon. 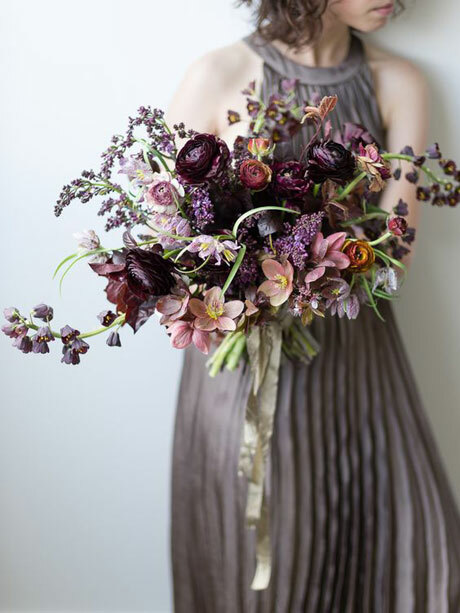 For inspiration, look at this gorgeous bouquet with deep burgundy-wine ranunculus (top) created by Sarah Winward and photographed by Kate Osborne, two very talented ladies. 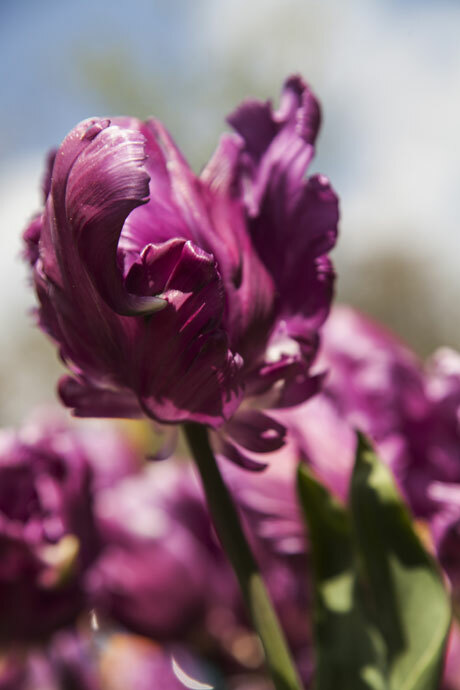 It’s winter downunder, which may mean there’s a lack of flowers in your garden. No problem. Pick foliage instead. 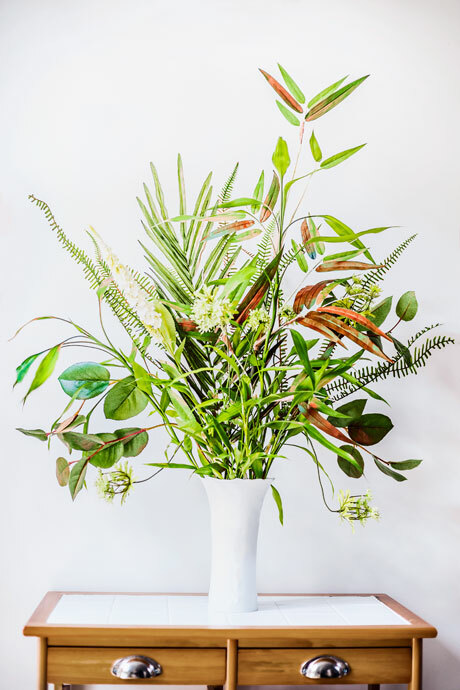 You can make surprisingly good-looking displays using foliage alone. 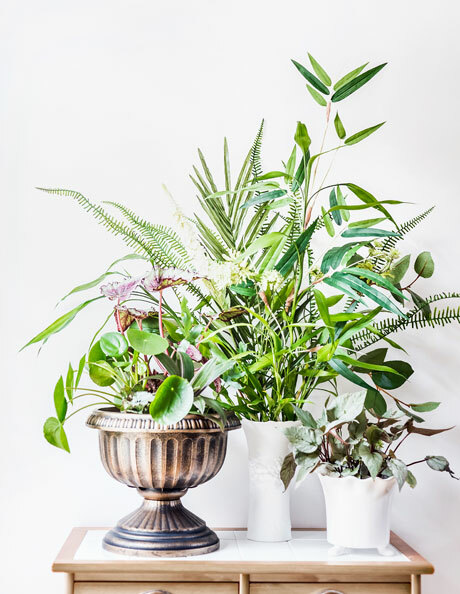 For the biggest impact, select a range of leaves with contrasting shapes, colours and textures. Missing your fresh, summer annual herbs? No problem. 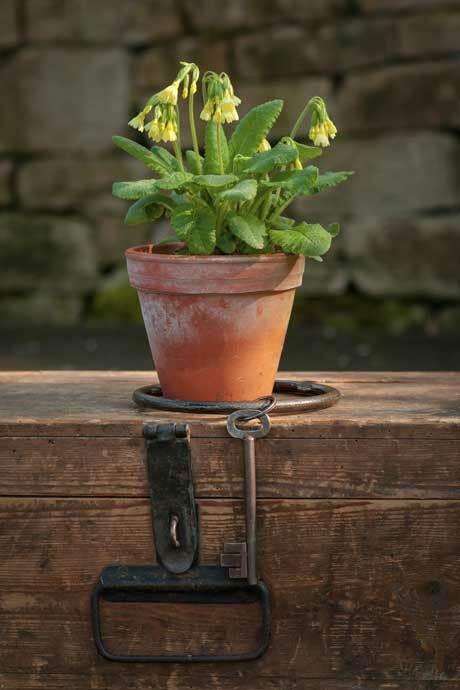 Plant some winter-hardy perennial stalwarts instead. Thyme, sage and rosemary are all tough herbs that will survive the winter gloom. 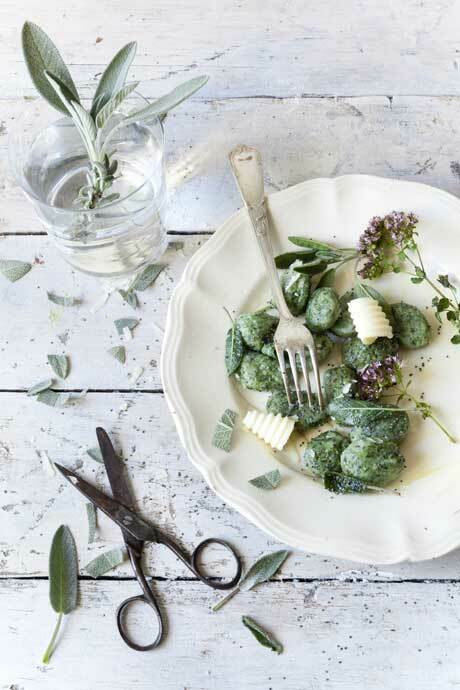 And they’re not only delicious sprinkled onto winter roast meats or as the star ingredient in recipes such as sage gnocchi (make your favourite parmesan gnocchi recipe and add copious amounts of chopped sage – yum! 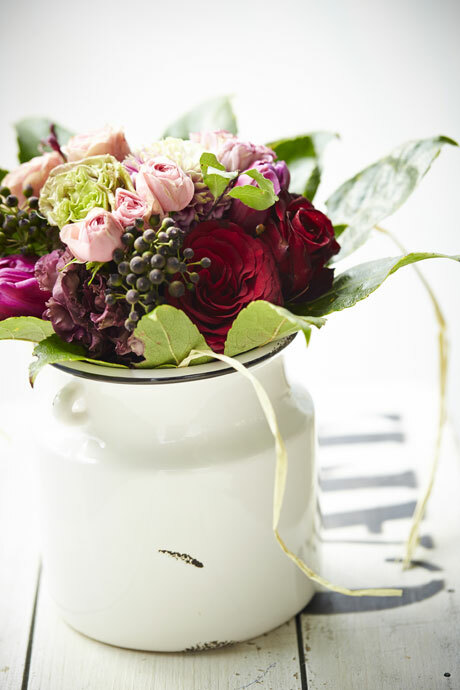 ), they look fab in a vase too. And they’re medicinal! 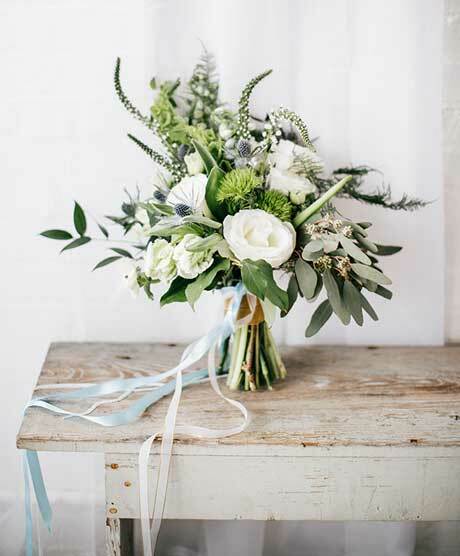 The gorgeous bouquet immediately above (fourth from the top) features thyme, rosemary, lavender and Geraldton wax flower, among other flowers, but it’s the herbs that give it its delicious perfume. 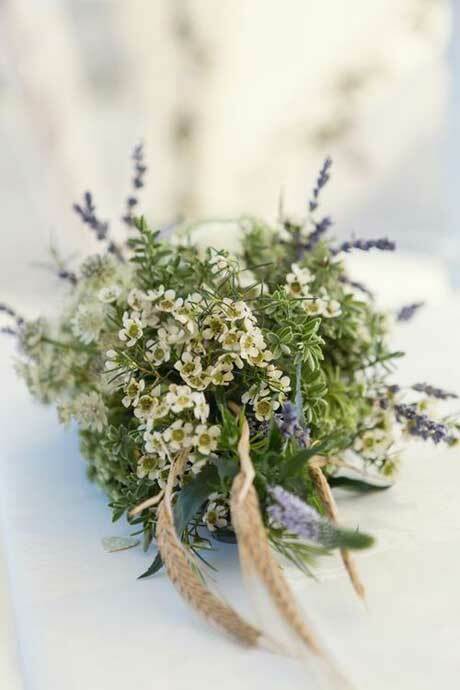 The second image from the top features sage and lavender, and the third photo has sprigs of rosemary. 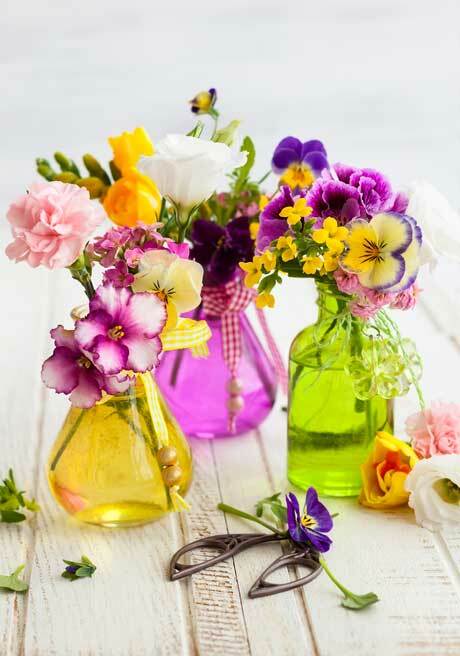 Pick herbs and mingle them with flowers for an aromatic display indoors. Or make a thyme syrup. Steep ¼ cup fresh thyme leaves in 300ml boiled water, covered, for 15 minutes. Strain out the leaves and add ¼ cup honey and 1 teaspoon lemon juice. 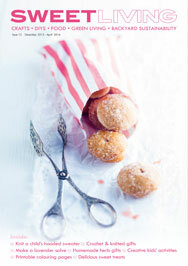 Store in the fridge and keep no longer than a week. For children 1 year or older, give 1-2 teaspoons every 2-3 hours. Teens and adults can take 1-2 tablespoons at a time. Thyme likes a sunny spot in free-draining soil. It doesn’t like wet feet, so add pumice or horticultural grit to improve drainage if required. 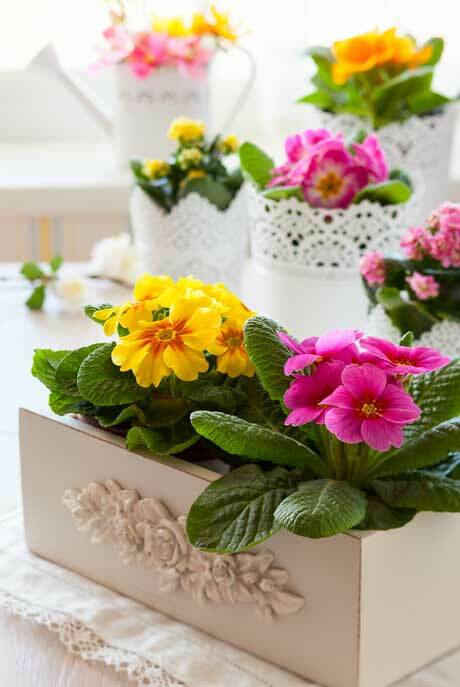 If planting in pots, use a potting mix that’s low in nutrients. Rich soil encourages softer growth and diminishes flavour. Plants in the garden also have low fertiliser requirements. Drought and cold hardy. Sage likes full sun and a limey soil (add some lime to your soil if necessary) that’s on the dry side. Soil does not need to be highly fertile. This plant is drought and frost resistant. 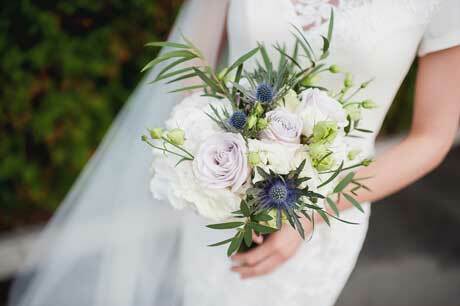 Photo credit: Second photo from top is from Real Maine Weddings. 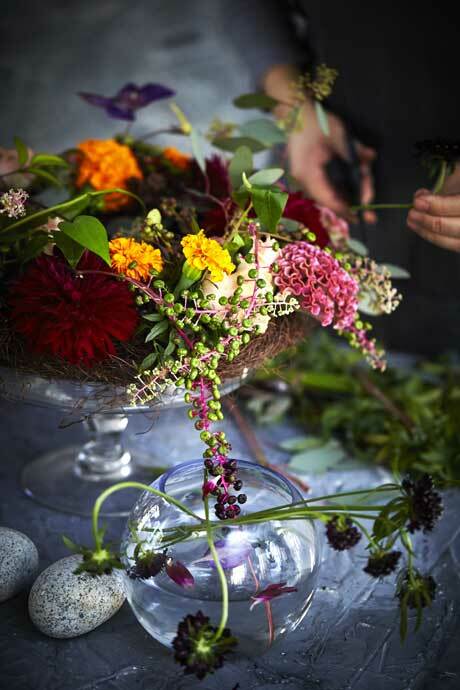 There is usually a slump in the number of flowers available for picking during winter, but there are nearly always a few stragglers left over from the autumn garden. 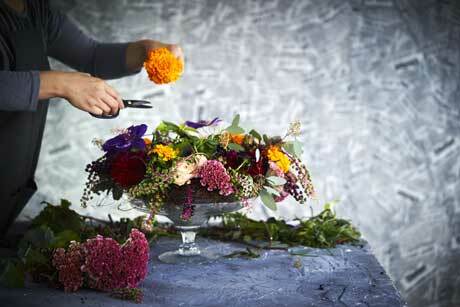 Even an unruly mishmash of flowers, berries, seed heads and foliage can make for a beautiful indoor display. 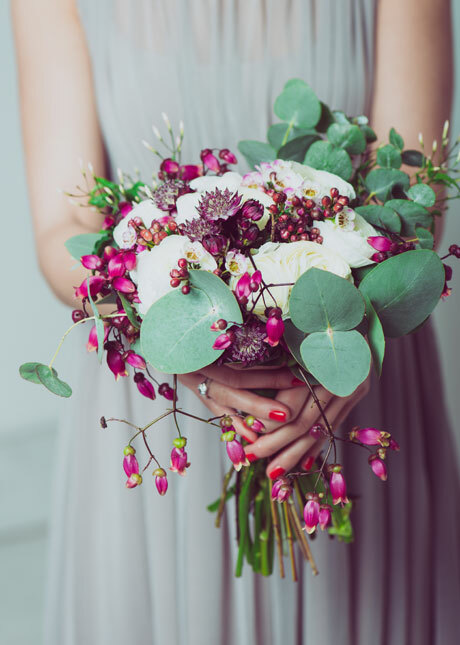 Pick a selection of flowers and foliage. 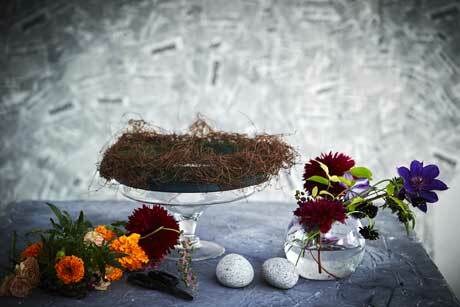 Choose a pedestal bowl wide enough to hold a florist’s foam-based wreath. Soak the wreath in water. The best way to do this is to place the foam on the surface of the water and let it absorb the moisture. When the foam sits just beneath the surface, it’s ready to use. If you force the foam into the water you will get dry patches. 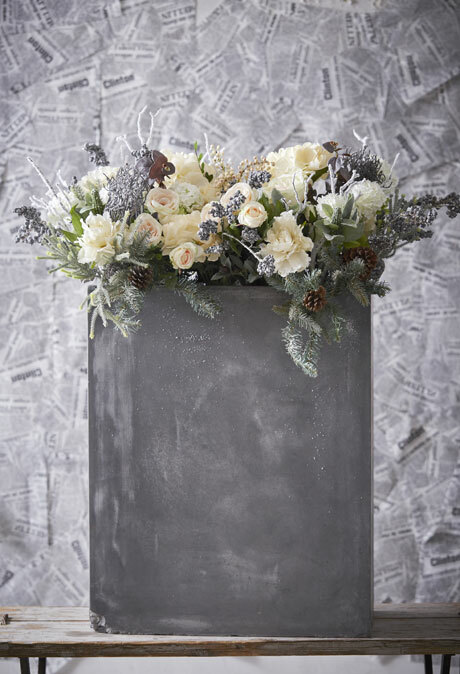 Place the wreath on your pedestal bowl. Drape fresh, woody prunings around the foam to disguise it. Use the prunings from grapevines, potato vines, dogwood, or any other bendy material. 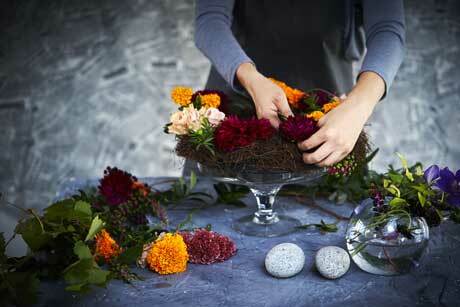 Start to add your plant material, pushing the stems into the foam wreath. 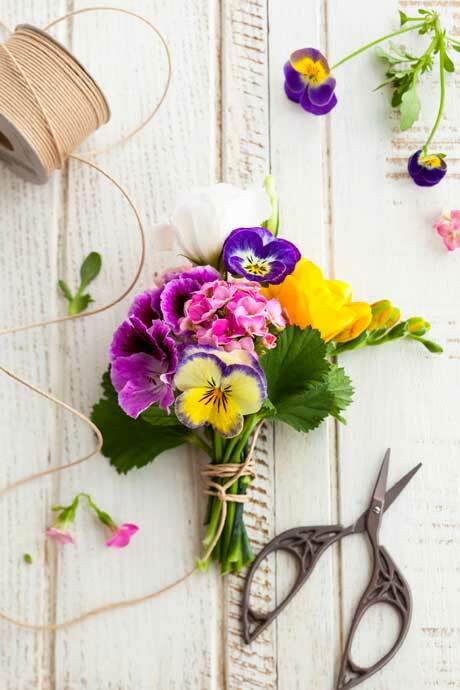 If you have any delicate stems, wrap florist’s wire around the stems then insert wire and stem into the foam. 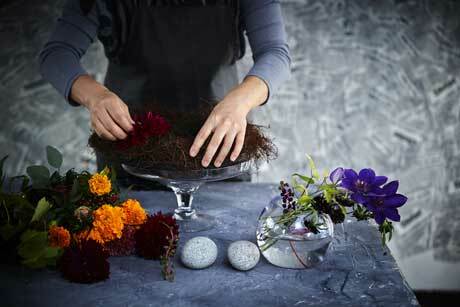 Continue inserting flowers into the wreath, rotating the pedestal bowl as you go to ensure the arrangement looks even. 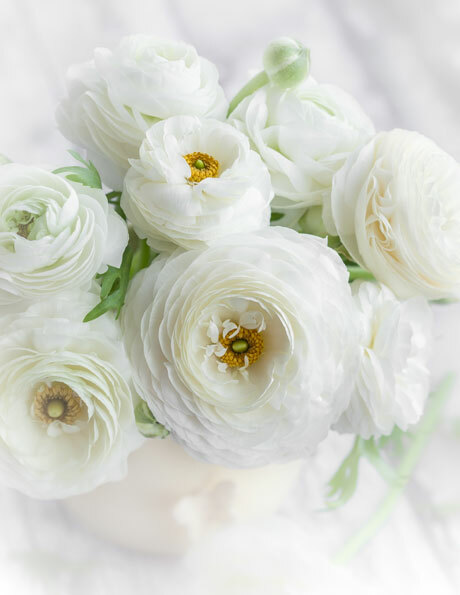 You do not have to pack the flowers in tightly at this stage. Keep rotating the pedestal bowl and fill in any gaps as you go. 10 Tips for a Good Night’s Sleep… starting TONIGHT!! Can’t sleep? Constantly tired during the day? That was me 10 years ago. But since then I’ve read, researched, studied, spoken to experts and become an expert myself on how to sleep well. 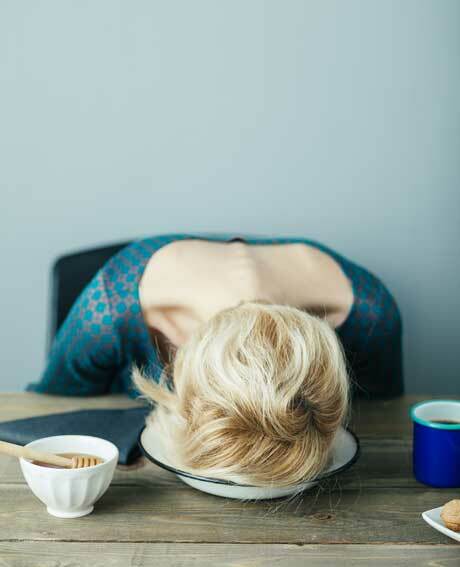 If you have trouble falling asleep, wake up constantly throughout the night, or wake up in the early hours of the morning and can’t get back to sleep, you’ll want to read my 10 Tips for a Good Night’s Sleep… Starting TONIGHT. It’s a free report, so grab yours now. 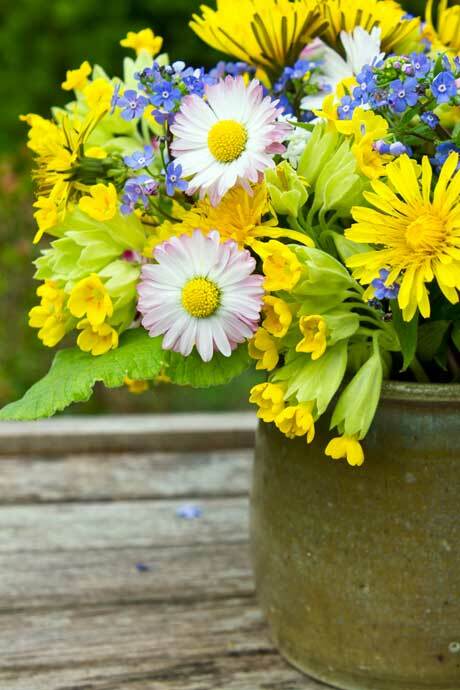 These are the sprightly contenders for the winter garden, with their cheerful flower heads in colourful hues. Select individual plants from the potted colour section at your local garden centre, or plant seedlings from punnets of six. Either way, stock up and mass plant. 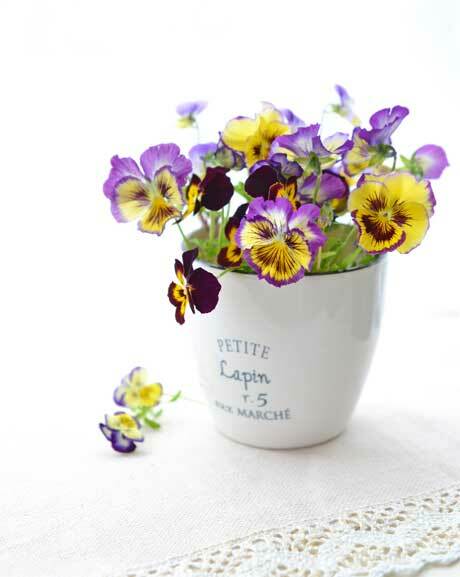 Nothing brightens a winter garden like pansies and polyanthus. 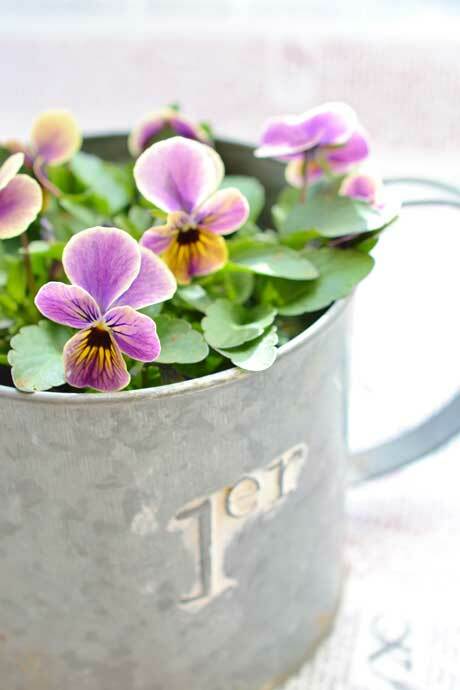 Plant them in sun or light shade in compost-enriched soil. 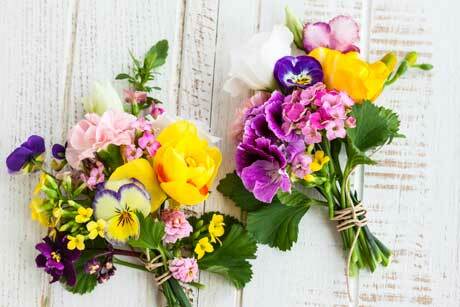 Pick the stems for small posies indoors. 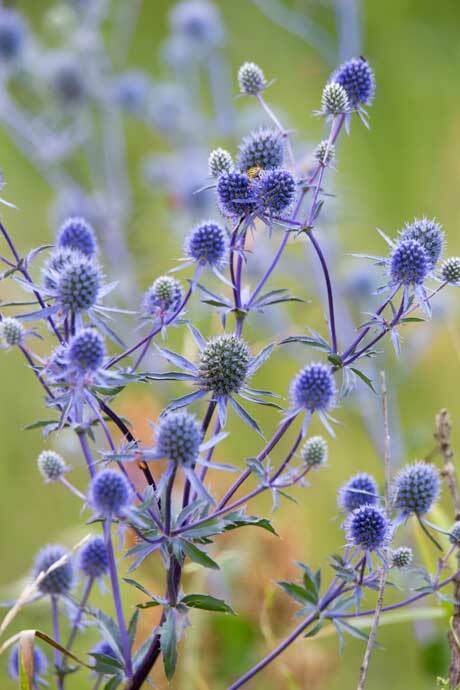 Sea holly (Eryngium planum) is a fashionable cut flower with its steel-blue pincushion blooms on stems up to 120cm high. 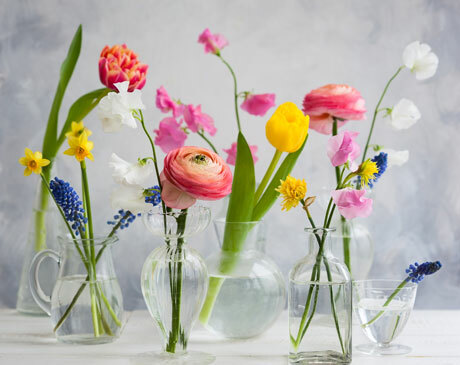 The long-lasting flowers are superb in bouquets and vase arrangements. 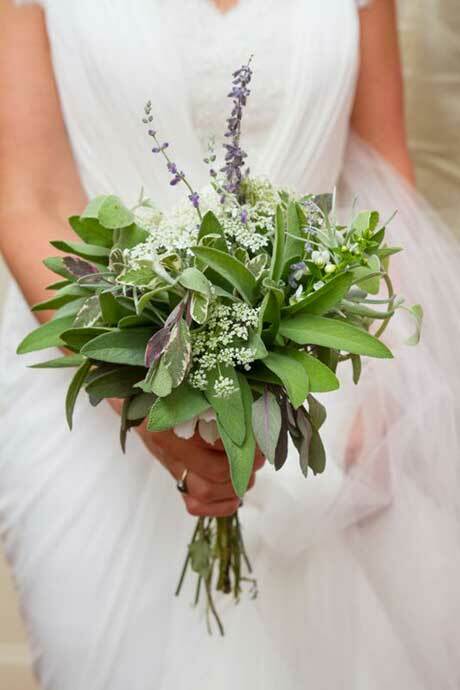 See the gorgeous bouquets here – the top wedding bouquet, which features over at Green Wedding Shoes, is predominantly green and white, with a subtle addition of purple eryngium. 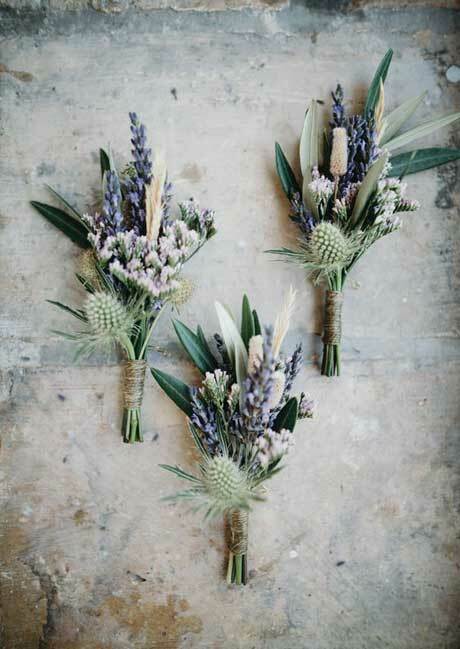 The boutonnieres (photo from the beautiful Rock My Wedding website) include olive leaves, lavender, statice and eryngium. 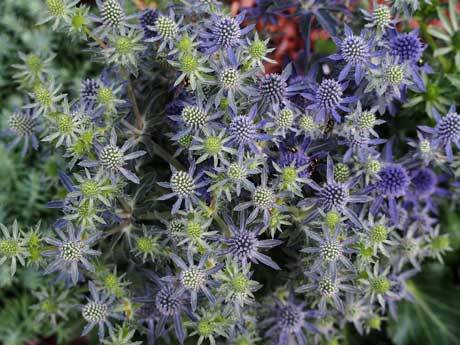 Eryngium is a hardy perennial, tolerant of salt winds and of poor soil so long as it’s free-draining. 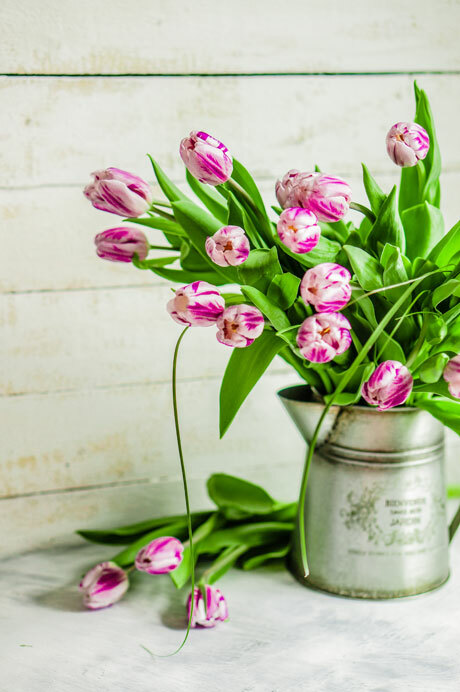 In fact, if the soil is overly fertile, the flowers tend to sprawl. The thistle-like flowers appear in late summer/autumn for several months. Seeds can be sown in trays now, but chill them in the fridge for 10-14 days before sowing to aid germination. 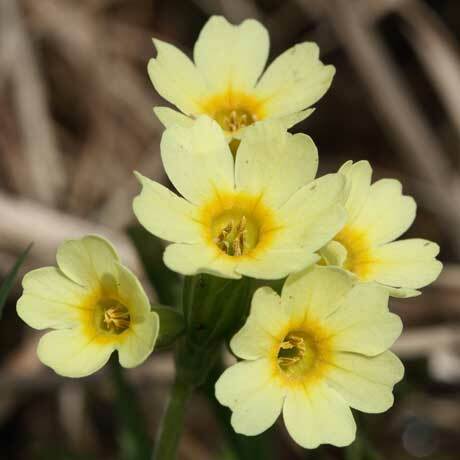 Cowslip (Primula veris) bears upright stems of bright yellow, nodding flowers in spring. It used to grow wild in fields in Britain, though it’s not commonly seen there now. In fact, it’s quite rare in the wild due to over-picking (it’s a medicinal plant) and extensive farming. Seed can be sown now, but stratify at 4degC for three weeks before planting. 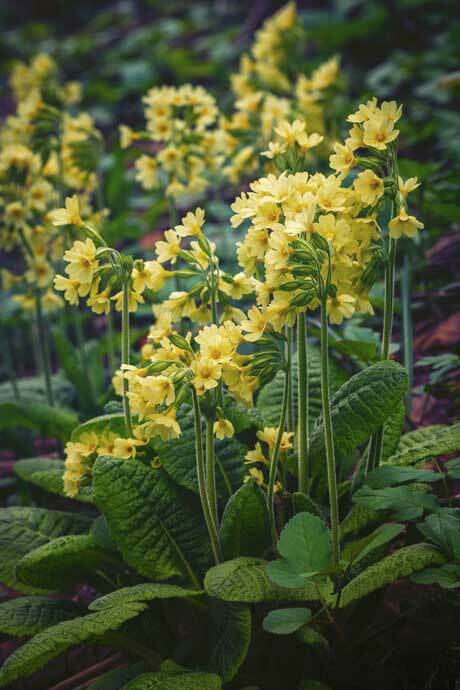 Cowslip grows in average to heavy soils in part shade. Seeds are available from Kings Seeds.